Rats’ invasion in your property signifies health hazards at your place. It is necessary to stop rats infestation at once. Let our pest professionals tackle the rat infestation their way. Give us a ring now to schedule rat control solutions. The pest which has got a long tail and is seen mostly in the night is none other than a rat. Rats are termed as a nocturnal pest which moves around almost everywhere. These pests belong to the rodent family. The body of a rat is bigger in size. Rats can be found in black and brown colors. These pests have bulge-shaped eyes with pointed ears and a long tail. The teeth of rats grow on end. Therefore, rats keep on gnawing on the items they come in contact with, so that they can keep their length of teeth under control. The female rats reproduce at a rapid rate. The life span depends on every rat specie. Generally, rats can survive up to eight years. The body of a rat is sleek which makes the pest pass through a hole with ease. Rats are found to be loitering around waste dispose, drains and other filthy areas. Rats prefer to feed on bread, cereals, meat, fish and leftover foods. You can hear squeaking noise mainly during nights which signify the presence of rats near you. To obliterate the existence of rats from your place, you will have to use our rats control services. Our rat removal solutions are effective in eliminating all types of rat species. Will your health be affected by rats infestation? Rats hang out in filthy places. Countless bacteria get stuck on the body of a rat. Moreover, these pests live in a dirt-filled zones. When rats get into your abode or in your commercial zone, they bring numerous germs with them. When you come in contact with those germs-lathered items, then your body gets inflicted by harmful germs. Toxic diseases such as hantavirus and plague can be life-threatening for humans. Some rat species bite adults and babies, if rats feel insecure in front of human beings. Rat bites can turn out to be fatal. The victim of the rat bite may have to seek medical attention immediately. Are rats in your territory? Rats are present in your home or around your residential territory, but you do not pay heed to the sights of rats. As a result, you invite dangers at your end. How will you know your territory has a rat infestation? Do not overlook the sight of a dead rat. It is an indication of having rat infestations around your place. The scratching sounds at night also imply that rats have infested in your housing territory. You may notice trail of urine or droppings of rats in any parts of your home. Chewing marks and gnawing marks are the prominent signs of rats infestations. Ask our rats control Brisbane pest officers to know more about rat infestation signs. Which rat species move in the Australian region? Without knowing properly about a rat specie, you start using rat pesticides from local pest stores. As a result, you fail to eliminate rats from your place. Have a precise knowledge on rat species from our pest guys who will update you about rat species in detail. Rat species which tend to show up on and off in the Australian region are house rats, marsh rats, roof rats, bush rats, long-haired rats, Norway rats, brown rats and black rats. Every rat specie is different from the other. Have a thorough knowledge about the rat species from our experienced pest control officers. 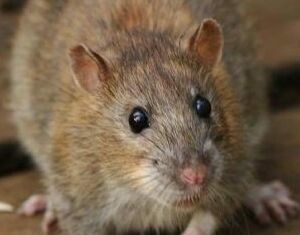 While informing you about rats, our pest officers will treat your place with our rats treatment Brisbane solutions to prevent future rat infestation issues. Will I be able to handle rat infestation? When rats have invaded in your home, you straight away rush to local pest stores to kill rats. It is not easy to eliminate rats, as these pests are hidden in the unreachable places. Ordinary pesticides will not reach to those rats which are hidden deep inside your home. Therefore, you should hire our pest control specialists to treat your entire house and the breeding sites of rats with our rats control services. Our rats control solutions are so effective that all rats will be exterminated in a few attempts of the implementation of our service. 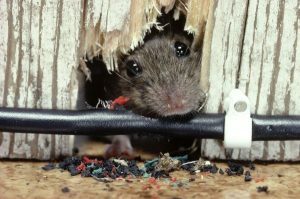 Our pest specialists are well aware of the unreachable infestation points of rats. They know which rat pesticides will be apt for the type of rat specie that has accessed in your zone. Our pest service guys will spot out the existing rat invaded points and will eradicate the pests as well as the invaded sites properly. How we are going to eradicate the rat infestation? Our pest inspectors will try to know how rats are getting entered into your property. They will find out the access paths by using their tools. They will inspect every room of your home. Not only the indoor zone, but also the outdoor areas will also be inspected simultaneously. After assessing the invaded areas, our pest control specialists will start using the baiting program which is a vital part of rats control Brisbane solutions. The rat baits will be applied on the roof voids, exterior doors, garage, crevices and cracks and other areas of your place. Along with rat control solutions, our pest control specialists will provide some useful tips on how to deter rats from your house. Upon implementing those tips along with a regular rat control measures, you will never find rats moving in your territory. How much you will be charged for using our services? Unlike other pest control companies who charge undue price for their services, we do not charge undue price from our customers. You will be charged affordable rates for our rats treatment Brisbane solutions. We charge as per the status of infestation. After you fill up the form in our website, we will offer you a quote which will help you know the price to be paid by you.